As a small brewery, we have the opportunity (and pleasure) to experiment a lot. Over the next year, we aim to release a wide gamut of different beers, in particular variations of our core lineup. The first of these variations releases today and on through the weekend! We took Chickadee, our beloved Berliner-style Weisse sour wheat beer and fermented it in an oak wine barrel for two months. Once the beer was ready we racked it to a stainless steel fermenter and dry-hopped it with Wakatu, a New Zealand hop that’s known for it’s floral and fruity characters. 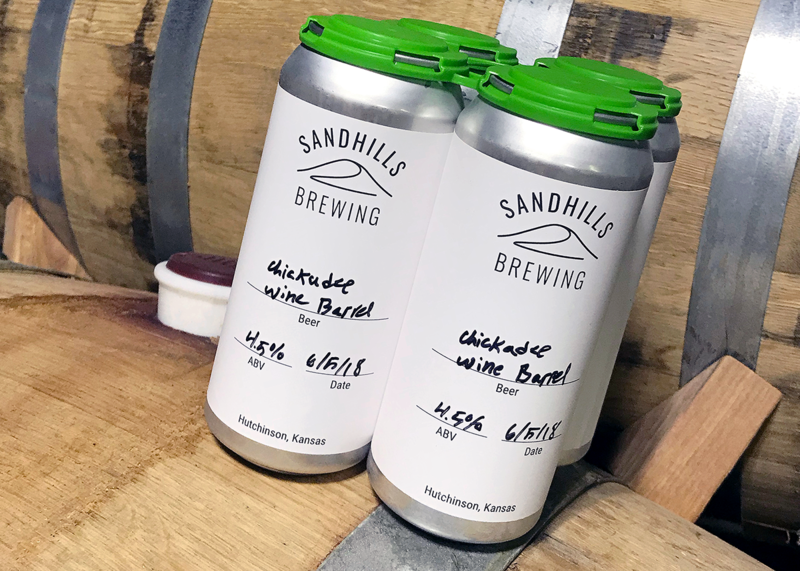 This wine barrel Chickadee is available to-go today for growler fills and 4-packs of 16oz cans. The price is $16 per 4-pack, plus taxes. We have also set aside ten 4-packs for can reservations! Can reservations are a great way for you to get ahold of our beer when you live outside of Hutchinson.